What can we learn by viewing the world as a performance? Vive la Phrance test the potential for performing art to give insight into how we as citizens relate to power structures in society. The performance takes place on a stage that has been transformed into the pleasant surroundings of a German biergarten for the occasion. A musician, an actor and a dancer guide the audience through eight performative situations inspired by existing works and forms of expression. Each situation defines the position of the audience based on varying degrees of trust and control. Can these positions tell us something about how we observe and act, make plans and improvise, both individually and collectively, in relation to the rules set by those in power? Vive la Phrance is a performative and analytical exploration of this premise. Spreafico Eckly is a performance company rooted in the collaboration between Andrea Spreafico og Caroline Eckly. By merging their respective backgrounds in conceptual performance and philosophy, and dance and choreography, they seek to give physical form to conceptual problems relevant to the contemporary debate. 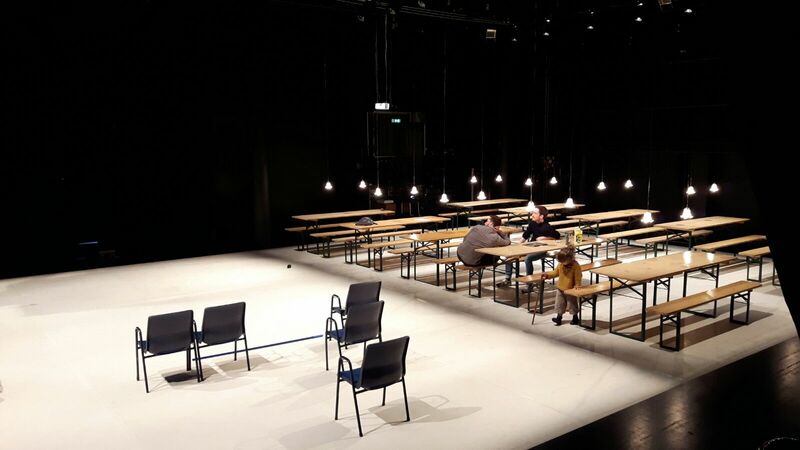 Vive la Phrance was presented as a process viewing at Black Box teater in April 2017. Concept and direction: Andrea Spreafico. 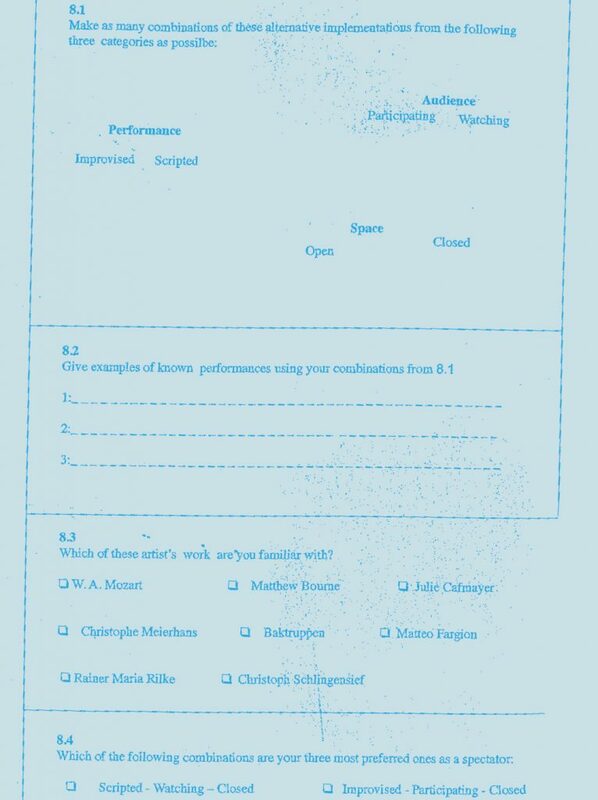 With: Robert M. Johanson (text), Mate Meszaros (dance), Matteo Fargion (music). Light: Caroline Eckly. Set: Gens – Association libérale d’architecture. Co-production: BIT Teatergarasjen (Bergen), Teaterhuset Avant Garden (Trondheim), Black Box teater (Oslo), Carte Blanche (Bergen). Supported by: Arts Council Norway, City of Bergen. With thanks for expertise and insight: Thomas Bruvik, Robert Roespel, Conrad Kemp, Melanie Fieldseth, Peter Wendl, Jonathan Burrows.